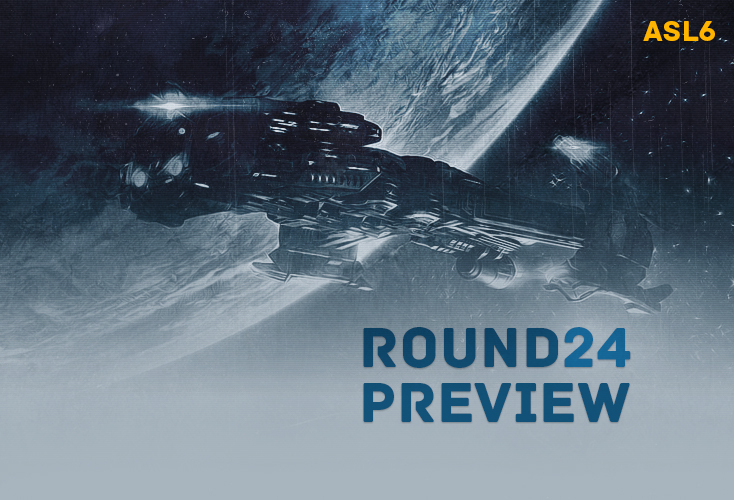 [ASL6] Ro24 Preview Pt 1- Back & Better than Ever! Hello folks and welcome to our coverage of the Afreeca Starleague Season 6. It feels like it was only yesterday that Rain took ASL5, and Snow beat Flash in that one fantastic series on his way to the finals. This is going to be another exciting season with the addition of 2 new maps (autobahn and Sylphide), and several new and old players (Sacsri, KangTaeWan and yerim2) to the lineup. What kind of strategies will the players play on these new maps? Will Flash take the title and revenge or will it be another Protoss dominated ASL? Will the Zerg race make some strides, despite losing one of their best in hero? What will be the final result of all the bouts that take place and will the new comers to ASL woe us with their games? A few questions from the many that were pondered. Moving on, Group A featuring Sea, Horang2, Jaedong and Killer has been previewed by Ty2, group B featuring Shuttle, KangTaeWan, Shine and MisO has been previewed by BLinD-RawR, and group C featuring Mind, Sacsri, Best and Movie has been previewed by Ziggy. Make sure to give them a quick read! With Group A set to start in , it's time for all the players to lay it down on the line for a chance to advance to the Ro16 and join the group selection ceremony. Let's get hypeddddddd!!!!!!!!!!!! In the one ASL that Killer manages to qualify for after a long hiatus, he ends up having to face his beloved former teammate and mentor, Jaedong. The world truly is a cruel place. Looking beyond though, the battle between these two Zergs is more than just a classic pairing of master vs. student. Their clash is a stark reminder of the old post-Kespa era and the scene its grown into today. Shortly after returning to BW, Killer achieved his greatest feat of winning SSL 8, dropping only a single map along the way. That same accomplishment of dominating a major tournament today would be unthinkable. With the scene so tightly packed compared to its hollow past, there's no one player unable to be contested by another. Moving forward to the present, there's no doubt Killer is nowhere near the form he was in prior to going to the military. He's also outmatched by Jaedong by a good margin. On stream, he's been shown in practice games to be outclassed by Larva, one of the more mediocre ZvZers in the top tier of Zergs. Suffice to say, unless Killer can train in the hyperbolic time chamber, he has little chance of beating his senior. However, both have been known for great ZvZ. Also, as former teammates, they should know each others' habits, creating an incredible mind game. Perhaps, just then, the gap can be closed between master and student. Seeing the two names put side to side is incredibly surprising, but for two very different reasons. If you were to say 1 year ago that Horang2 progressed to the Ro8 of a major tourney and qualified for ASL6, people would laugh. After all, Horang2 is the face of E rank, the second lowest rank on Fish. Conversely, since then, Horang2 has put in the work and has risen in his own right as a former ex-pro. Sea, on the other hand, is a unique case indeed. He's fallen since his days of competing at the top where he was once the ASL2 runner up to Flash. There's no mistaking Sea's decline from the spotlight since his embarrassing defeat against Larva in the WEGL, who stood up mid-game to air punch in his usual theatrics. Instead, Sea has become one of the more popular BJs as an entertainer. Despite his lack of practice, he still has some intuition and skill. In the past 3 months in sponsored matches, he's gone 8:12 vs. Larva, 2:4 vs. Best, and 1:3 vs. Rain. Clearly, Sea in all of his inactivity still has enough knowledge and gusto to take games off of otherwise great pros. As for how I see the actual match playing out, the games will be perilously close. Horang2's ingenuity that beat Mind and went 2:3 vs. Last goes up against the spunky Sea. Movie vs. Sea in ASL 5 comes to mind as a similar matchup where Movie won handily. Considering how an average Protoss can beat Sea, I'd say Horang2 is definitely capable of doing the same. In addition, Horang2 has more recent experience on stage, so I give the edge to the Tiger Toss himself. With a ferocious roar and bite, he'll claw his way to victory. The likely outcome of the winners' match will see Jaedong dominating Horang2. Of course, Horang2 will consider the possibility of facing Jaedong, so he'll have a unique strategy planned. We've seen Horang2's craftiness before against Last and Mind, so an upset is within the realm of possibility. Sea vs. Killer, the budget Flash vs. Jaedong. The first thought that comes to mind is Killer's sub 20% winrate versus Sea and generally bad ZvT. In spite of that, Killer after returning from the military showed he's a capable ZvT competitor in ASL 4. 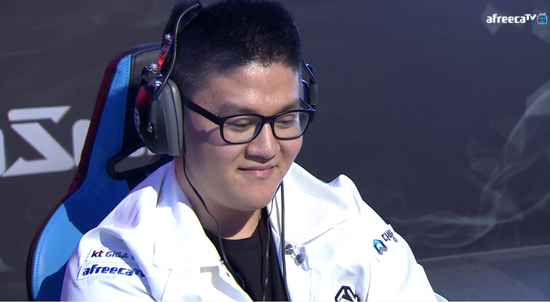 Pitted against Flash in the group stages, he ended up advancing 2-1 in an all Terran group. Funnily enough, Killer happened to replace Sea that same tournament because Sea was disqualified for a particular incident. Killer has also demonstrated strong sense of preparation which will no doubt give him the edge over Sea. However, I can easily envision Sea simply 8 raxing for the quick win. Assuming Killer progresses and the Tiger Toss falls, we'll have another ZvP on our hands. Considering Horang2's abysmal ZvP winrate, I easily see Killer taking the win. Jaedong and Killer to advance to the Ro16! Featuring Shuttle, Shine, MIsO (aka Where) and the ACS (Afreeca Challengers Starleague) winner Eros_ByuL who is the exciting prospect of the season and a lot of eyes on him looking forward to what he's capable of. Kicking off the group we have ASL1 champion, Shuttle who’s offline run since last season consists of an 0-2 loss in his Ro16 group in the KSL. However, those were PvZs against the best ZvPers around. His PvT offline however has some interesting results: He was in the round robin wildcard series against Mind and Flash for hero’s vacated Ro16 seed where he not only won his first series against Mind, but he also managed to take a game off Flash in their series showing that right now, he's definitely not to be taken lightly for our Terran player. As for Eros_ByuL, it’ll be hard to predict how he's going to perform. While he was in the ACS, he did dominate the competition, but ASL is the big leagues pitted against anyone else in the tournament (other than yerim2) so he's going to be facing an uphill battle. While taking a loss here to face up against Zergs, whom he seems to radiate more confidence with, is an option, it's a risky one at best. Shine and MIsO once again in the same group since they were both in Group A of the Ro16 last season where Shine did come up on top against MIsO. However, over the last month, MIsO has had some online success in the matchup against players like EffOrt and Larva, but when it comes down to it, Shine has some really great mutalisk control and MIsO is known for being inconsistent varying from Jaedong to just another player when it comes to his mutalisk control. Due to it being offline though, I’m going to give the advantage for Shine, but I won’t be surprised if MIsO takes it considering he 2-0’d his Ro24 group last season. In the winners' match, we’re likely to see Shuttle vs Shine which is definitely going to be the battle of the unorthodox. Shuttle can also get unorthodox in the matchup (he's sometimes prone to the TT1 Build, I’ve seen him on stream) and this might stem from the fact that he did lose one of his biggest practice partners in the matchup with hero. Shine will probably have something prepared and tailored to the map to snipe Shuttle with, but we’ll see if the match is being played on a new map or/an old one (maps were not announced as of writing this) to see if Shuttle can pre-empt it. If the game is standard or goes long, I’d give the advantage to Shuttle. Eros_ByuL is definitely more successful in TvZ based on his limited stats and his run in the ACS and MIsO is someone one could consider the gatekeeper of between amateurs and pros, but considering MIsO’s ZvT prowess shown in last season’s Ro24, it looks like MIsO’s game to win. Final game is a rematch of the second series. I don’t expect much to change in terms of results or strategy unless the map specifically calls for it. It could go either way, but in the interest of a prediction, I pick Shine. Shuttle and Shine to advance to the Ro16! Returning from StarCraft 2, ASL6 is going to be Sacsri's first official Brood War appearance since the 2011-2012 hybrid season of Proleague. Having competed in a number of qualifiers leading up to the current iteration of the aforementioned Starleague, the Zerg is demonstrating a clear pattern of improvement, getting further and further with each attempt. With an unquestionably superior track record as a StarCraft 2 progamer, namely due to a DreamHack championship under his belt, Sacsri gets thrown in at the deep end, with Mind, BeSt, and Movie, all standing in his way to the round of 16. A quick glance at the Zerg's recent results in recorded sponmatches paints an ugly picture - struggling to maintain a positive win record in any of the three matchups, or even falling to one of the other ASL newcomers in ErOs_ByuL, lead me to believe Sacsri's chances of progressing further in the tournament are slim to none. Having said that, I wouldn't rule out the possibility of Sacsri showing up stronger next season. Readjusting to the current state of the scene and a much needed on-stage appearance should work in favour of the former SKT T1 player's overall shape. Look out for this guy! Getting a warmup match free of charge, the MSL champ should first and foremost worry about the two remaining Protosses in group C. Although a 49.4% win rate in TvP over the past two months might seem rather alarming, Mind has recently managed to go 3:2 against Snow. And if he can beat Snow as Terran, you can bet your bottom dollar he should be able to take down at least Movie. BeSt, on the other hand, can't be dismissed as a threat. Still, being clearly favoured against two out of three opponents is a spot any player would gladly accept. As much as finishing in first place would guarantee an easier group in the round of 16, Mind is known to tackle problems one at a time, which leads me to believe that he might just be focused on getting out of the current stage. As recent results might indicate, BeSt should by all means top this particular group. Having taken down Mind in the KSL 3:0, BeSt was ultimately taken down by Rain, who was deemed the favourite to take the entire affair. Disregarding the misunderstanding that was Rain's semifinal performance against Jaedong, getting 3:0'd by the ASL champion in a mirror matchup is not as worrying as some might think. Conversely, a 5:4 score against Stork in the very same KSL solidifies my belief BeSt will undoubtedly cruise through this group with relative ease. Appearing in a multitude of tournaments in recent times, Movie hasn't necessarily delivered the results one might expect from a veteran of the scene. Sponmatch winrate in July and August at 38%, a 4th place finish in his round of 16 KSL group - taking down Sacsri only to finish 3rd seems the only reasonable expectation for the time being. Having said that, ASL's wonky maps in seasons past were conducive to upsets to say the least. Hopefully the trend continues and a handful of underdogs make it to the round of 16. Best and Mind to advance to the Ro16! Exactly my LB predictions ! Just hope JD doesn't have to play Sea with the finals vs Last coming up. Also hoping we see another deep run by Shine. What is the map pool other than the two new listed above? yall sleeping on MIsO hard. MIsO is the next hero. I don't think Shuttle took a game off Flash in the wild card qualifiers. Unless I read it wrong and you meant Mind who took 1 game of Flash. Great write up though. Very nice work guys. Mind has a good chance of being eliminated. This is a tough one. Can somebody send me a libk to the map pool, thank you. I predict we'll see Jaedong and Sea get out of group A. I'd like to see Horang2 put on a great performance though and even make it out, though I doubt it'll happen. Ah screw it, I predict JD and Horang2 to advance. You guys predicted Killer to get out, which I certainly don't think is unreasonable either. This should be a fun group to watch. Hoping to see JD in the same amazing form from KSL against Rain. Maybe he'll be saving strategies for the finals against Last if he plays Sea though? I wasn't following BW when MSL and OSL were running. Do players usually make deep runs in one? both? Are strategies saved for certain matches, or does using certain strategies only add to the mind game? So it turns out that JD is good at this game, his form has really been on the returning path in the past couple of weeks! The map pools vary a lot in the ASK and KSL. I think this allows players freedom to reveal strategies without affecting their runs in another tournament. I’ve been following this tournament closely and I must say what great games from Jaedong and sea. Baxter looks on the cusp of being an S class Zerg but needs to fix up and look sharp when it’s showtime. Having been protege of Jaedong is a claim few in esports can match. I also love autobahn and I didn’t know how it would go, but it seems to make fair and entertaining games the standard. Sylphide is also a really nice choice too and I’m loving the bo1 format keeping the people entertained and the games moving quickly. Remastereds release has galvanized the brood war community both internationally and in Korea in ways I didn’t anticipate. Hats off to blizzard and the Korean CEOs of Afreeca for co operating so flawlessly on a great couple of tournaments between KSL and ASL. If I could change one detail it would be to shorten the amount of down/0 days between games, as a fan in America I’ve been at the edge of my seat waiting to watch. Guys, if you want to discuss the games, the LR is a better place. If you prefer to post in this thread, please use spoilers and label them. Thank you for the great write up. Looking forward to see if ByuL and yerim (also, Sacsri) can leave their mark or at least do better than PURPOSE. Still, I would bet on Shuttle and Shine advancing today.